Livvy, Codman, and Bertucci are a trio--inseparable and incomprehensible. The Circle A Cinema is a decrepit theater facing the wrecking ball. Its last show is the story of a friendship's end and rebirth. 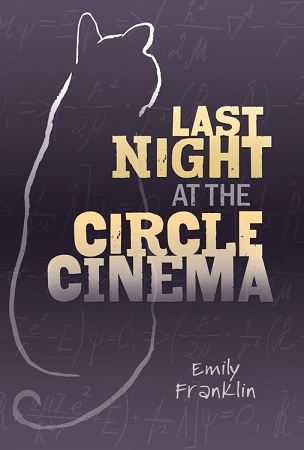 Manic genius Bertucci coaxes Codman and Livvy to spend one last night with him--the night before graduation--locked in the condemned cement box that is the Circle Cinema. Before the sun rises, they'll deal with what went down in the last year and with what the future holds for their fleeting, beautiful friendship. Smart, honest, and heartbreaking, Last Night at the Circle Cinema is a portrait of three teens about to break open the box of Whatever Comes Next. While not a Jewish-themed story, references to Livvy’s Jewish home life round out her character. SPOILER ALERT: One of the trio isn't alive. The reveal of the novel is not so much that one of them isn't there in body but how much his memory allows him to remain in spirit.